Looking for a treasurer to join our board! Home > News > Looking for a treasurer to join our board! Are you an accounting professional looking to put your skills to good use? Do you believe that legal professionals should be able to exercise their profession without facing harassment, threats, and violence? Do you value the legal frameworks that protect and promote human rights? Do support justice, accountability, and peace? Maybe you even have a smattering of Spanish and you’d like to exercise your linguistic muscles too? Although just to be clear, you don’t need Spanish to take this on. 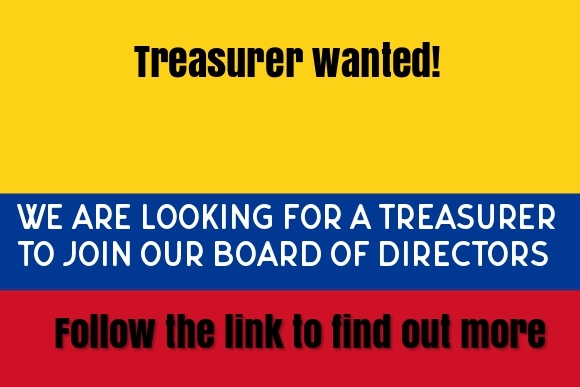 The Colombian Caravana is seeking a Treasurer to work, together with other Board members, to support our financial processes and ensure our compliance with applicable Charity and Company Law.